Emeralds have adorned wrists and necks of the rich and the famous for thousands of years, from Cleopatra to modern-day royalty and stars of the big screen. Recently, their value has started to balloon, reaching many times their estimates at auctions. The gems modeled in this picture once belonged to the world-famous Italian actress Gina Lollobrigida. The intricate emerald and diamond earrings were made by the Italian jeweler Bulgari in 1964, and were auctioned by Sotheby's in May. The value of emeralds stems, in part, from their scarcity - they are over 20 times rarer than diamonds. Today they are mainly mined in Colombia, where this deposit is from, as well as Brazil and Zambia. The raw stones are then sent to Jaipur, the emerald capital of the world, where they are cut and polished. Historically, jewelers set the emeralds in yellow gold, which was thought to be the purest form of metal and the closest thing to Godliness. 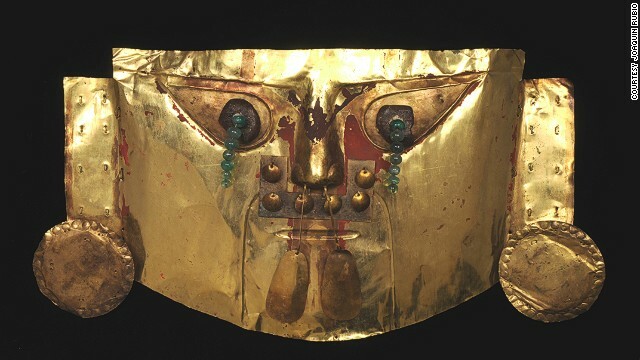 Emeralds on this funerary mask from Lambayeke, Peru, are meant to represent eyes. 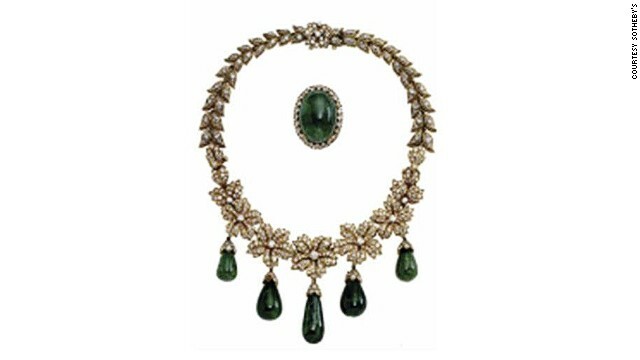 This necklace is believed to have been made of emeralds Catherine the Great, empress of Russia, gave to the second Earl of Buckinghamshire who was the British ambassador to her court. The two were rumored to have had a love affair (the earrings were made from different stones). 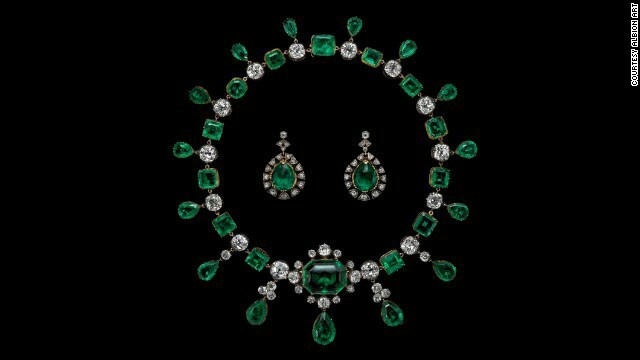 The Maharajas often commissioned valuable emerald jewelry for both themselves and their wives from top Paris jewelry houses. In this picture The Maharani of Kapurthala (born Anita Delgado) wears an emerald harem of the crescent in London in 1912. 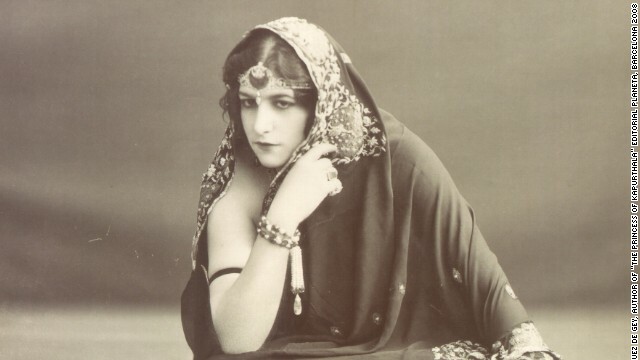 The head-piece that the Maharani wore was later adapted as a brooch. Apart from using the stones for jewelry, the Maharajas often asked for verses of the Koran to be carved into the stones, giving them a divine aspect. 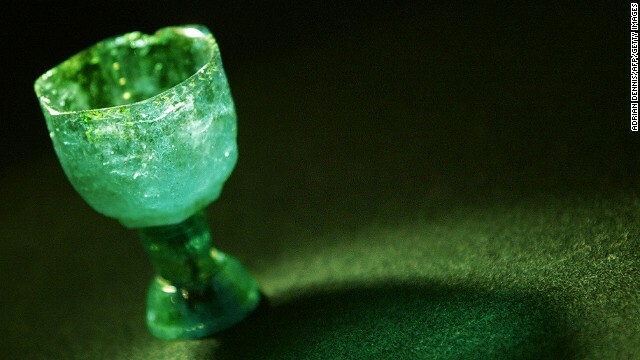 Indian artisans did not just craft jewelry but also made objects out of emeralds, such as this seven emerald cup made of three separate emerald sections with a 408.5 carat bowl consisting of six fish-scale patterned sides. 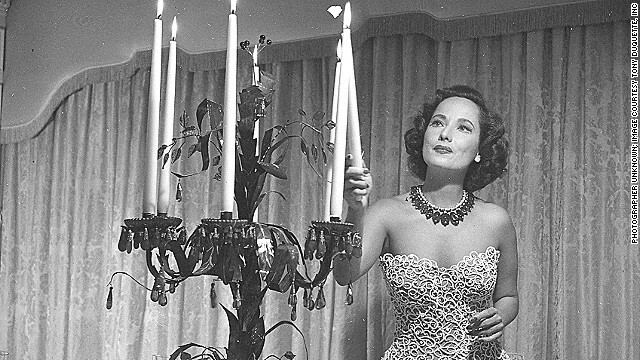 Hollywood actress Merle Oberon, pictured here at her home in the 1950s, commissioned a valuable Cartier necklace that she is wearing in the picture, in 1938. 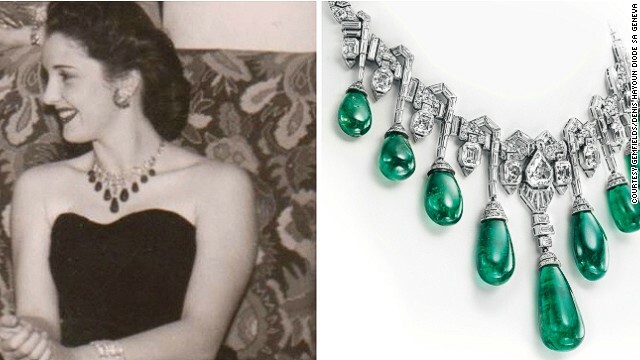 Cartier emerald necklace commissioned in 1938 by Merle Oberon. Flexible chain in round-cut diamonds with 29 graduated emerald cabochons, tipped with diamonds, suspended from it. Emeralds continued to be popular with the jet-set well into the 20th century. 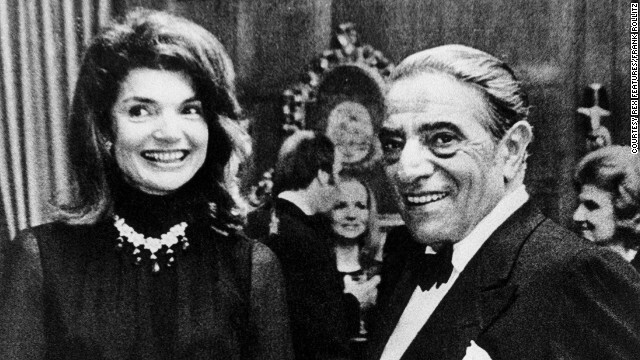 Here, one of the greatest fashion icons of her time Jacqueline Kennedy Onassis is wearing her Van Cleef & Arpels emerald necklace, in a photo with her husband Aristotle Onassis in 1971. Jacqueline Onassis' Van Cleef & Arpels necklace and brooch. Much of the emerald's allure comes from its color - in normal lighting the human eye responds most strongly to yellowish-green light. Van Cleef & Arpels was a high-society favorite. Princess Faiza of Egypt is pictured here with her own emerald and diamond necklace made by the brand. 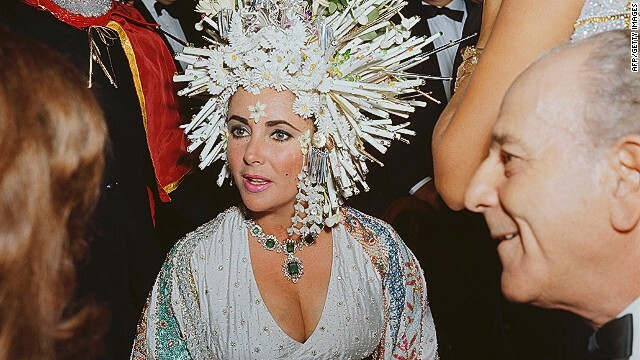 Elizabeth Taylor was famous for wearing flamboyant jewelry, and her collection featured some extremely valuable pieces. Here she is wearing an elaborate headdress of pearls and fake flowers, but her emerald necklace still stands out. The green gem continues to be popular with the young Hollywood set, such as actress Mila Kunis pictured here wearing ethically-sourced emeralds on the red carpet. Their ever-increasing prices show that diamonds may be forever, but emeralds are also here to stay. Editor's note: Joanna Hardy is a jewelry expert, consultant and author of "Emerald: Twenty-one Centuries of Jewelled Opulence and Power." (CNN) -- Last month some of the world's wealthiest jewelry collectors gathered at the Four Seasons Hotel in Geneva for an auction of rare gems. They had green in their eyes. "Here we have showing on the left the stunning 'Patino' emerald and diamond Cartier necklace," the Christie's auctioneer said. "We shall start the bidding at five million Swiss francs." Attendees raised their hands - and the stakes. When the auctioneer slammed down his gavel, the winning bidder had committed to paying 9,125,000 Swiss francs, or roughly $10 million. 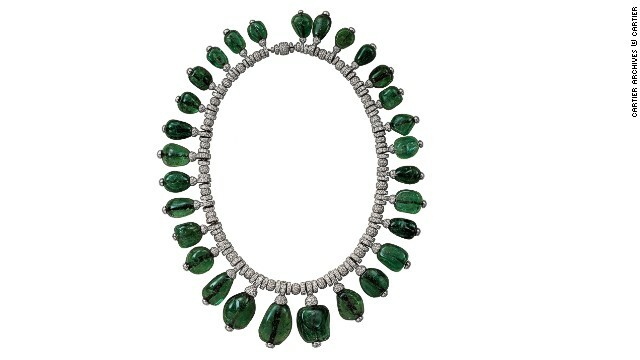 That made it the second highest price ever paid at auction for an emerald and diamond necklace. It was just the most recent in a series of auctions where emeralds have reached many times their estimate. The price for high-quality emeralds has increased by a factor of 10 since 2009, and the price of Colombian emeralds is set to increase by at least 25% this year alone. Gemfields, the world's largest producer of the green stones, has seen the price of its emeralds soar sixfold in the past four years. Meanwhile the International Diamond Manufacturers Association has warned that, following current growth rates, emeralds could slash the diamond market share by 20% in the next two decades. Given the growing popularity of emeralds, maybe diamonds aren't forever. Why is this happening? The lofty prices are simply further proof of our enduring fascination with these alluring, mysteriously enigmatic stones. From Cleopatra to Catherine the Great to the Maharajahs of India, the world's most powerful men and women have always coveted them -- and inspired the masses to do the same. The value of emeralds stems from their scarcity: they are considerably rarer than diamonds. The value of emeralds stems, in part, from their scarcity: they are over 20 times rarer than diamonds -- a consequence of the extraordinary conditions required to create them. Beginning 500 million years ago, magma and hydrothermal fluids—rich in aluminum, beryllium, silicon and vanadium—cooled amid a delicate balance of heat and pressure, forming the precious gems. Today most emeralds are mined in Colombia, Brazil and Zambia, and then sent to Jaipur, the emerald capital of the world, where artisans cut and polish them. Long before you encounter an emerald, it has been on a long and magnificent journey. 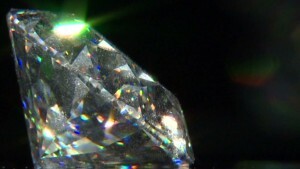 Much of the wonder and awe relates to the gem's color. In normal lighting conditions, the human eye responds most strongly to yellowish-green light. Natural light, including sunlight and candlelight, also happens to be at its most intense at this point of the visible spectrum. The global emerald trade developed during the 16th century after the Spanish Conquistadors captured the Inca Empire. They exported Colombian emeralds to Europe, the Philippines and India. This coincidence of physics and human physiology explains why emeralds can appear so wonderfully, almost supernaturally vivid, as when you look at a field of lush green grass on a sunny day. Historically jewelers have added to the emerald's luster by setting it in yellow gold, which was thought the purest form of metal — and the closest thing to Godliness. People are subconsciously drawn to this warmth. Owing to chromium in its chemical make-up, the emerald doesn't just reflect light, but also gives it off. It's no exaggeration to describe it as radiant. Across cultures and across time, ancient peoples came to view the stone as having unusual powers. The Romans believed it could revitalize the soul of whoever wore it, and Pliny the Elder wrote that staring into the stone could soothe the weary eyes of jewel-cutters. Mughal Emperors carved verses of the Koran into the gemstones, creating a strong link between emeralds and divinity. In several Middle Eastern cultures people wore emeralds thinking they would discourage snakes from biting them. This didn't work for Cleopatra. But these perceived powers raised the profile of the gem, nourishing a desire that continues today. The global emerald trade picked up during the 16th century after the Spanish Conquistadors captured the Inca Empire. They exported Colombian emeralds to Europe and the Philippines. Soon even more people praised the emerald for its purported medicinal qualities, perhaps spurred on by the legend and myth surrounding the gem. In 1609 Anselmus de Boodt, a Belgian mineralogist and physician, suggested that the green stones could cure dysentery, fever, panic attacks and epilepsy. One wonders if he had shares in an emerald mine. Emeralds from Colombia also made their way to India. Mughal Emperors carved verses of the Koran into the gemstones, creating a strong link between emeralds and divinity. Shah Jahan, the ruler who built the Taj Mahal, loved emeralds so much that he had them inscribed with sacred text and wore them as talismans. Some of these sacred stones, called Mogul emeralds, can still be seen in museums and collections today. How much is this diamond worth? Enlightenment thinking worked against the purported magic of the stones, but European high society helped stoke demand for emeralds anyway. They became status symbols associated with the aristocracy. In 1806, Napoleon Bonaparte gifted the Beauharnais Emeralds, a stunning emerald and diamond parure, to his step-daughter to celebrate her marriage and Napoleon III made green the imperial color, creating a spike in interest in the gem during the last two decades of his reign. In 1922 England's Princess Mary appeared in public wearing an emerald engagement ring. Suddenly women around the country wanted the green gem. The emerald has captured plenty of men, too. In 1928 the Maharajah of Patiala came to Place Vendome in Paris with his entourage. He stayed at the Ritz and brought with him 15 of his wives, 50 aides, cooks and chambermaids, and seven trunks filled to the brim with emeralds and diamonds. He went to French jewelry house Boucheron and asked that artisans set the stones. 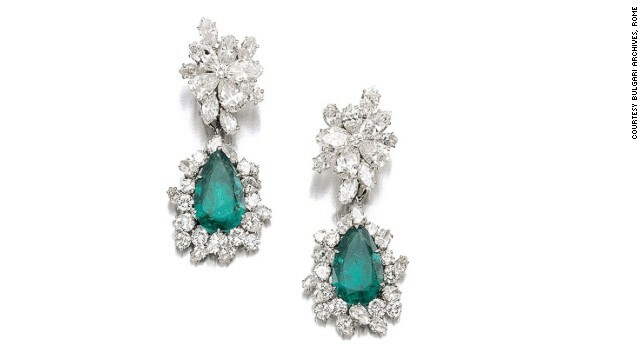 Boucheron obliged, dreaming up some fabulous emerald pieces 'that were the size of apricots'. Most of the jewelry was for himself and not for his wives. Paris, the center of some of Europe's most highly skilled goldsmiths, is a living jewel box. 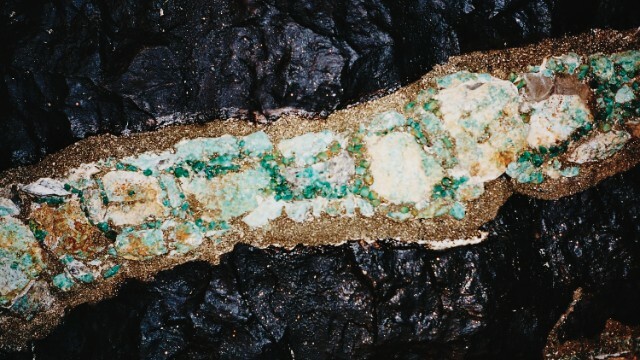 Its artisans have handled millions of dollars' worth of rare emeralds, helping jewelry houses such as Boucheron, Chaumet, Van Cleef & Arples and Cartier create some of the most iconic pieces of the 20th century. Across cultures and across time, ancient peoples came to view the stone as having unusual powers. Some have been lost forever. Others are hiding deep inside a bank vault waiting to be rediscovered. 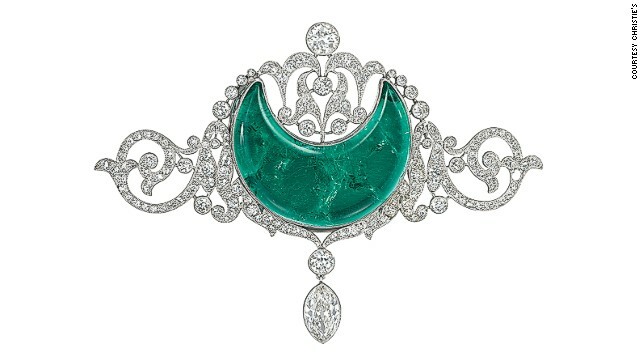 I had a brush with one of these masterpieces in 2011, when Christie's auctioned an emerald pendant brooch made by Bulgari. Richard Burton originally purchased the brooch as part of a set for Elizabeth Taylor, while they were filming Cleopatra in the 1960s. I tried it on at a pre-auction event and still remember its vibrancy. The stones looked like the iridescent wings of an Egyptian scarab beetle, and shrouded me in a wonderful green glow. It later sold for $6.5 million, smashing the original estimate of $500,000 to $700,000. The ever-higher prices that are being achieved in the international market place demonstrate that the desire to find and own an emerald has never wavered. Long may it last. After surviving Vichy prisons and Nazi concentration camps, Brian Stonehouse became one of the most prominent fashion illustrators of his age. Award-winning photographer Phil Stern captured everything from the battlefield to Hollywood Boulevard. These are his most iconic images. The Sony World Photography Awards has released a collection of some of the competition's most beautiful entrants. Are sports stadiums modern-day cathedrals? Leading architects say arenas will soon become our most important social spaces. Whether you think stuffed animals are cool, beautiful, or downright disturbing, this is taxidermy like you've never seen it before. Studio 54 has become synonymous with the glamor and excess of the late Seventies. These rare images capture its debauched side. It's official: London's getting another landmark. This time it's a stunning plant-covered bridge partly inspired by Leonardo DiCaprio. For fans of Ferrari, Maserati, Lamborghini and Pagani, this corner of Europe is a petrol-powered promised land. Victoria Beckham and Emma Watson were among the designers, models and taste-makers recognized at this year's British Fashion Awards. Duncan Campbell's It For Others, which features a dance inspired by Karl Marx and examines African art, has won the prestigious art prize. Simon Beck decorates snow-covered lakes and mountainsides with massive geometric designs using his footsteps as his implement. Houses that melt, float and flip upside down? Alex Chinneck's playful architecture sparks the imagination and begs for a photo-op.